You are currently browsing the category archive for the ‘Article 9’ category. On June 19th 2009, the French prime minister Fillon issued an executive order 2009-724 forbidding citizens to cover their faces in an area where a gathering is taking place. Covering his own face without a “legitimate reason” and if there is risk of “a breach of public order” carries a penalty of a €1,500 fine (art. R645-14 of the penal code). On April 11th 2011, Act 2010-1192 entered into force. It forbids citizens to cover their faces in any area open to the public unless the covering is legally required, work-related, on health ground, to practice sport or during artistic and “traditional” events. Under this law, covering his own face illegally carries a penalty of a €150 fine. The prime minister Fillon requested public employees to forbid entrance to all public facilities (train stations, metro stations, airports, courts, prisons, police stations, museums, schools, universities, hospitals, stadiums, libraries, town-halls, polling stations, driving license offices, immigration and asylum offices…) and to refuse service to citizens on the ground that their face is covered (note PRMC1106214C) even though the citizen is offering to show his face for identification purpose. In Paris, two women covering their face were arrested by male plainclothes police officers preventing them to express their opinions to journalists and to demonstrate peacefully (see below video). On the same day Ms. S.A.S a Muslim woman, filed an application to the ECHR on the ground that the criminalization of the covering of her face when she is in areas open to public, is a violation of her right to privacy (art.8), her freedom of religion (art.9), her freedom of expression (art.10) and her freedom to peaceful assembly (art.11). She added that the ban from public facilities, the refusal of service and the risk to be fined were degrading treatments in violation of article 3. She stated that these discriminatory policies were also in violation of article 14 of the Convention. On February 1st 2012, the application was communicated to the agent of the French Republic with questions to be answered within 16 weeks. The applicant is represented by Mr. Sanjeev Sharma (Birmingham, UK). Does France respects the right of freedom of peaceful assembly for all citizens in Paris in 2011 ? In France in 2011 (5th republic), demonstrations are still regulated by the executive order of October 23rd 1935 of the president of council Pierre Laval (3rd republic), who was executed for “treason” on October 15th 1945 by a firing squad in the notorious prison of Fresnes. Articles 1 and 2 of the the executive order require organizers of a demonstration to notify the prefect or the mayor of the reason, date, location and itinerary of the demonstration, 3 to 15 days before it should take place. “Traditional” demonstrations are exempted from the requirement. Article 3 of the the executive order allows head of local police, prefect and mayor to “forbid” the demonstration if it may disrupt “public order“. The executive order doesn’t define a demonstration or the minimum number of people required for a demonstration. Participating in a “forbidden” or a “non notified” demonstration is not an offense under the French penal code. But a prefect, a mayor or any police officer can decide to disperse any demonstration that he thinks may disrupt “public order” (art. 431-3 of the penal code). Once the legal warnings have been made to the demonstrators by bullhorn or by firing a “red rocket” (art. R431-1 of the penal code), it is an offense to continue participating in that demonstration. It carries a penalty of 1 year in jail and a fine of €15,000 (art.431-4 of the penal code). 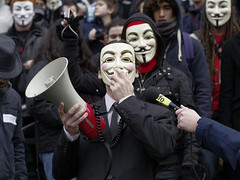 On January 26th 2011, a demonstration was organized to protest against a meeting at the Automobile Club of Paris in the 8th district of Paris. No dispersion order was taken. On the opposite, 70 peaceful demonstrators were kettled by military riot police (gendarmerie mobile). They were then arrested, searched, detained in a police bus and transported to a police station in the 11th district of Paris before being released without charge. According to the police department of Paris, the peaceful demonstrators were arrested to “verify their identity.” But this arrest is only authorized under art.78-3 of the code of penal procedure if the citizen refuses to disclose his identity upon request. According to witnesses and videos of the events, the demonstrators were not even requested for their identity before being arrested. Once arrested, they were not advised of their rights to a phone call and to have the prosecutor informed of their detention. Upon release, they didn’t receive the mandatory police report stating the reasons of their detention. (art.78-3 of the code of penal procedure). On May 10th 2011, a gathering was organized in the Luxembourg gardens in the 5th district of Paris to celebrate the executive order of April 27th 1848 (2nd republic) making slavery illegal in French colonies. No dispersion order was taken. But 8 peaceful citizens were kettled by plainclothes police officers. Then they were arrested, searched, detained in a police bus and transported to a police station before being released without charge. Once again, the citizens were not requested for their identity before being arrested and upon release they also didn’t receive the mandatory police report stating the reasons of their detention. On May 26th 2011, a demonstration was organized in place de la Rotonde in the 10th district of Paris to protest against the G-8 meeting in Deauville. No dispersion order was taken. But the peaceful demonstrators were kettled by riot police (CRS) and plainclothes police officers. 95 peaceful demonstrators were then arrested, searched, detained in a police bus (video 2, video 3, video 4) and transported to the police stations of 5th, 11th and 18th district before being released without charge. They were also not advised of their rights and didn’t received the mandatory police report. On June 19th 2011, a demonstration of “indignés” was organized in front of Notre Dame in the 4th district. No dispersion order was taken. But the peaceful demonstrators were kettled by riot police (CRS), military riot police (gendarmerie mobile) and plainclothes police officers. They were then arrested, searched, detained and transported to police stations before being released without charge (video 1, video 2). On July 8th 2011, 5 citizens were waiting on the sidewalk of the embassy of Russia in the 16th district. They wanted to submit a 14,000 signatures petition urging Russia to execute ECHR judgment Alekseyev v. Russia (4916/07; 25924/08; 14599/09) by allowing gay-pride demonstration to take place safely in Moscow. No dispersion order was taken. But the 5 citizens including the Russian applicant Mr. Alekseyev were all arrested, detained and transported to the police station of the 4th district. Mr. Alekseyev was released only 8 hours later. On July 9th 2011, peaceful demonstrators supporting Palestine were kettled and arrested (video 2) in the 4th district. On September 14th 2011, the French minister of interior threatened to use violence if any regular peaceful gathering of Muslims for Friday prayers will take place after September 16th 2011. On September 16th 2011, the police department of Paris expressed its “satisfaction” that Muslims renounced to gather for Friday prayers in the 18th district of Paris. On September 17th 2011, Xavier Dor organized a gathering to “pray” against the opening of an abortion clinic at the hospital Tenon in 10th district. The organizer an extreme right activist, was already condemned to fines and jail for behaviors toward abortion patients, doctors and nurse interfering with patient’s abortion (art. L2223-2 of the health code). Even though the gathering was in front of the hospital, no dispersion order was taken and no demonstrators were arrested. On September 19th 2011, peaceful demonstrators “indignés” were kettled, assaulted by pepper spray, arrested and searched in the 6th district by police officers (video 2,video 3). On September 21st 2011, peaceful demonstrators “indignés” showing their passports and identity cards were kettled, arrested, assaulted, searched, detained in police bus and transported to police stations (video 1, video 2, video 3, video 4). On September 23rd 2011, 11 citizens “indignés” were on the sidewalk, just released from the cells of the “dépôt” (jail) of the tribunal of Paris in the 1st district. A plainclothes police officer asked them illegally to disperse their gathering (see video below). These examples shows that the police department of Paris have an administrative practice in 2011 to unlawfully detain some peaceful demonstrators to interfere with their exercise of their freedom of peaceful assembly. The unlawful detention by a police officer, is an offense carrying a maximum penalty of 7 years in jail and a 100,000 euros fine (art. 432-4 of the penal code). These interference are not prescribed by law and seems to target peaceful demonstrators on the ground of their opinion, sexual orientation and religion. In the newsletter PPrama of the police department of Paris (no181), an official acknowledged that the demonstrators “indignés” are trying to gather peacefully. But he stated that police officers have to “very reactive to strangle at birth this kind of inclination“. Therefore the unlawful detention of peaceful demonstrators on discriminatory grounds to interfere with their freedom of peaceful assembly is a violation of articles 5-1 and 11 of the Convention in conjunction with article 14. From November 28th 1995 to January 18th 1999, the tax department audited the accounts of the Jehovah’s Witnesses (JW) in France. On February 8th 1996, the minister responsible of the tax department, Mr Alain Lamassoure, publicly supported at the national assembly, the harassment of minority religion by tax (“the tax department, whose actions on several occasions resulted in a certain repression of the activity of sects”) . On May 14th 1998, the department decided to tax at the rate of 60% the donations from believers of JW for years 1993 to 1996, refusing to tax-exempt them. The department applied also a penalty rate of 80% which resulted that the donations to JW were taxed at rate of..108% and fixed the annual interest at 9% on late payments. On July 4th 2000, the tribunal of Nanterre rejected the applicant’s claim. On February 2002 the appeal court of Versailles confirmed the ruling. 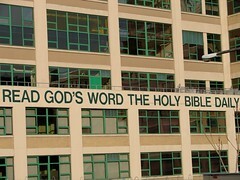 On October 5th 2004, the supreme court rejected the appeal of the applicant (03-15709) on the ground that the Jehovah’s Witnesses were not recognized and authorized by the government as a religion. On February 24th 2005, the applicant lodged its case (see below) to the Court arguing that the tax rate of 108% on donations to JW was a discrimination in violation of articles 9 and 11 of the Convention with article 14. He added that the tax rate in itself was a violation of article 1 P1 and that the use of a tax to harass a minority religion a violation of articles 18 and 1 P1. The applicant submitted also allegation of violations of articles 6-1 and 13. On June 17th 2008, the Court found inadmissible all the allegations of violations of the Convention except the one of articles 9 and 14. On September 21st 2010, the Court found admissible the allegation of violation of article 9. On June 30th 2011, the Court found a violation of article 9 of the Convention on the ground that the tax rate of 108% applied to the donations to the applicant was not foreseeable and therefore not “according to law”. The Court will rule on damages at a later date. The applicant was represented by Me Philippe Goni (Paris). According to Me Philippe Goni (comments), this is the first time that the Court found that the French Republic violated article 9. He added that this raises serious questions about the “passiveness of the national courts” . He requested that the tax department annulled the whole demand of tax and penalties (more than €50 millions) and reimbursed the amount already seized. 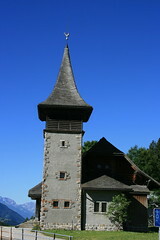 On November 29th 2009, 57.5% of the 2,709,287 votes were in favor of the popular initiative to forbid the building of minaret in Switzerland. As a result, article 72 of the Federal Constitution of Switzerland was modified. Mr. Hafid Ouardiri is a Muslim living in Switzerland who is working as the director of the “Inter-Knowing Foundation“. On December 15th 2009, the applicant lodged his case to the European Court of Human Rights arguing that to forbid to build a minaret was a violation of articles 9 and 14 of the Convention. He added that the lack of effective remedy was a violation of article 13. On May 11th 2010, the application was communicated to the agent of the Swiss government. On September 15th 2010, the Swiss government replied and on November 9th 2010 the applicant submitted his observations. Most of the debate is on the two first questions on the quality of victim (art.34) and if all domestic remedies have been exhausted (art.35-1). The Swiss government is even refusing to examine the allegations of violations of articles 9 and 14 of the Convention (.34) and requested the Court to do the same. N.G.O European Center for Law and Justice submitted briefs amicus curiae to the Court as well as N.G.O Open Society Justice Initiative. The applicant is represented by Me Georges-Albert Dal (Brussels), Me Bertrand Favreau (Bordeaux), Me Pascal Maurer (Geneve), Me Christophe Pettiti (Paris) and Me Pierre de Preux (Geneve). On June 28th 2011, the Court found the application inadmissible on the ground that the applicant didn’t apply for a permit to build a minaret and therefore couldn’t be considered as a victim under article 34 of the Convention. On April 22th 2005, the administrative tribunal of Neuchatel rejected the appeal from the movement. 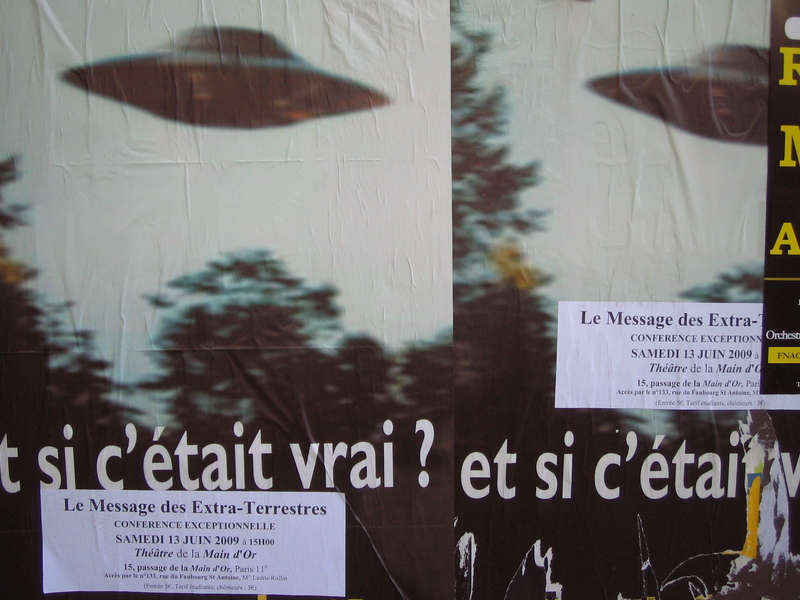 On September 20th 2005, the federal tribunal rejected the appeal (1P.336/2005) on the ground that the interdiction of these posters was necessary “in a democratic society for the protection of morals“. On April 10th 2006, the movement filed a case with the ECHR (see below) arguing that the interdiction to display their posters was a violation of articles 9 and 10 of the Convention. On May 20th 2008, the ECHR communicated the case to the agent of Switzerland with questions to be answered within 16 weeks. On September 9th 2008, the agent for the government submitted his observations answered on November 4th 2008 by the applicant. The Swiss Raelian movement was represented by Me Elie Elkaim (Lausanne). On January 13th 2011, the E.C.H.R ruled by 5 to 2 votes there was no violation of article 10 of the Convention on the ground that the Swiss State benefits of a “margin of appreciation” about the use of its public space and the State has reasonable grounds to forbid the posters (59). The Court didn’t examine the allegation of violation of article 9 of the Convention. In their dissenting opinion Judges Rozakis and Vajic expressed that the movement was not forbidden in Switzerland and should be able to promote by posters its ideas (3.a) and its non forbidden website (3.b).